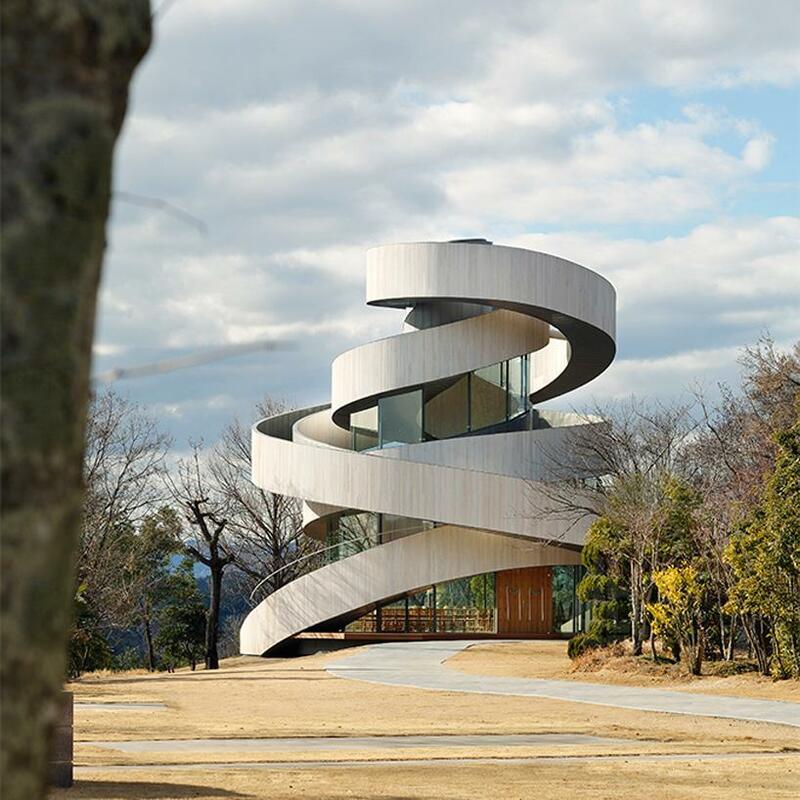 Ribbon Chapel by architecture firm Hiroshi Nakamura is a striking wedding venue located on the grounds of a luxury resort in Hiroshima, Japan. 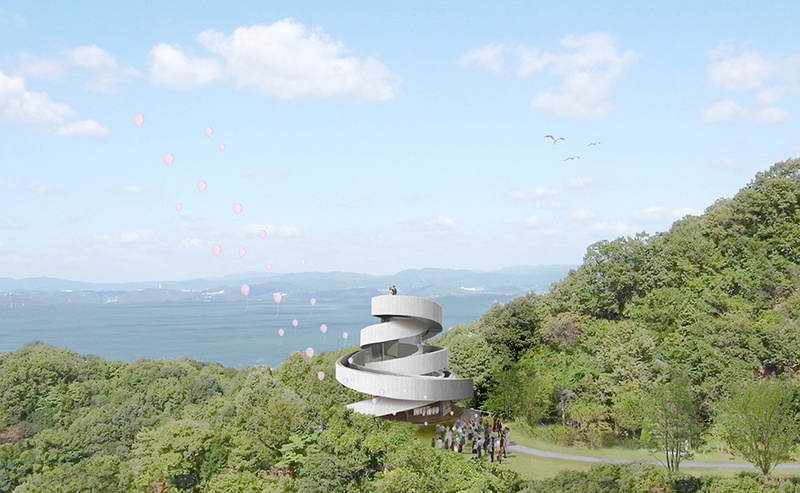 With two separate stairways, the structure forms a tangled double spiral that reaches above the surrounding trees and offers guests a view of Japan’s Inland Sea. The chapel is topped off by a green roof, viewing platform and massive skylight which fills the space with natural light. 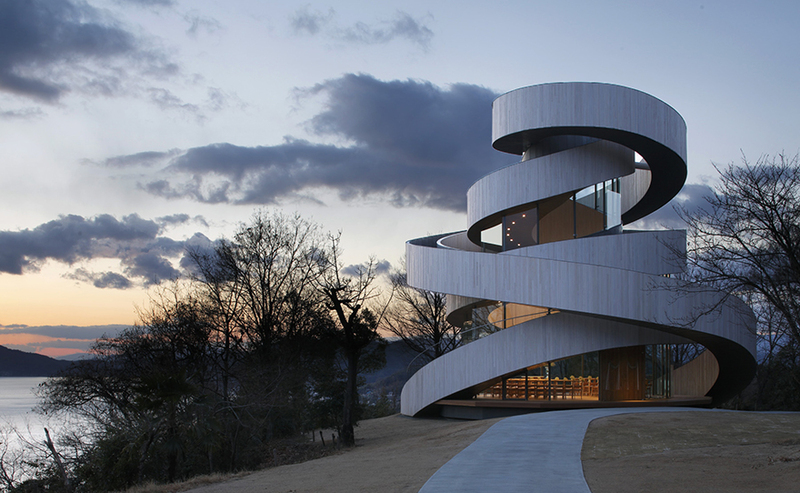 If we were architecture, we’d ask this design to marry us.